Today Hi-Rez Studios announced that more than 10 million unique players worldwide have played SMITE, the Studio’s mythology-themed action online battleground arena. To celebrate this epic community milestone, Hi-Rez Studios is reviving the original Hercules character model from SMITE’s early PC beta days as an all-new “Retro Herc” skin on both PC and Xbox One. Anyone who wins 10 PvP matches in August will unlock Hercules as a playable god, along with the Hercules retro skin and a new Hercules voice pack featuring Kevin Sorbo, the star of TV’s Hercules: The Legendary Journeys – all for free. Hi-Rez Studios revealed the promotion today in a new video, featuring Sorbo, who has a special message for the internet. To continue their momentum, Hi-Rez Studios will be at gamescom August 5 – 9th to show off SMITE on both PC and Xbox One. The Studio will also unveil a new, soon-to-be announced game, allowing attendees to be among the very first to play this surprising new title at Booth A-051 in Hall 9. Also at gamescom, Hi-Rez Studios will host the SMITE Pro League Fall Kickoff featuring Fnatic and Titan on the ESL main stage on Friday, August 7, from 10:00 to 13:00 CEST. From 13:00 to 14:00 CEST, Hi-Rez will stream a live showmatch of its new game. Both match-ups will be broadcast at twitch.tv/smitegame. 2015 has been a year of rapid growth for SMITE, beginning with January’s inaugural SMITE World Championship, which raised at the time the third highest individual prize pool in eSports history. Since then, Hi-Rez Studios has invested heavily in building SMITE’s community, leading up to next January’s SMITE World Championship presented by Xbox One. 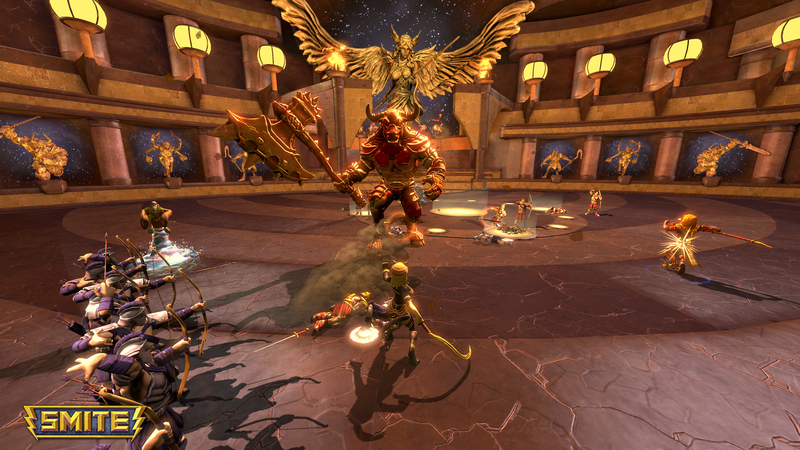 The show will feature SMITE tournaments on both PC and Xbox One, the latter of which is currently in Open Beta.